About Translation: When will SDL improve fuzzy matching? In a series of posts between 2005 and 2008 I had expressed my frustration at the poor, and sometimes dangerous and misleading, fuzzy matches offered by "old" Trados. SDL Trados Studio is a match better tool, overall, than Trados Wrokbench, but in one respect it has not improved at all: fuzzy matching. You can see from the screenshot below that I had just translated the title "GENERAL CLEANING PROCEDURES". Two segments down, the same title appears again, again all in upper case. But since the surrounding tags are different, the translation memory does not offer my translation for the title as a suggestion. It does, instead, suggest several other segments, all of which are poor matches for the text of my segment, but all of which have more similar tags. Looking back at these old titles, I realize that I was somewhat intemperate in my wording - especially in the first two posts. 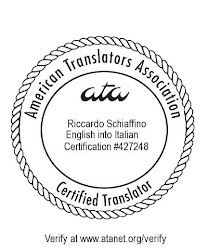 I apologize for that, but the meat of the question remains: the purpose of fuzzy matching should be to help translators by leveraging past translations. By not improving their fuzzy matching algorithms, SDL is failing us. I repeat what I said in my previous posts: SDL's programmers should get to work and improve the fuzzy matching algorithms they use, so as to give more weight to the more significant parts of the segment.